My story for the March 2014 issue of McKinney Magazine, published by the McKinney Chamber of Commerce. I always love doing these types of stories because the interviewees are enthusiastic about being included, and I get the bonus of visiting lots of wonderful places in the community! So fun!! A wedding set in the gazebo in Katie’s Garden at the Heard-Craig Center for the Arts. Photo courtesy of Phase 3 Photography. When you imagine your dream wedding, what do you see? 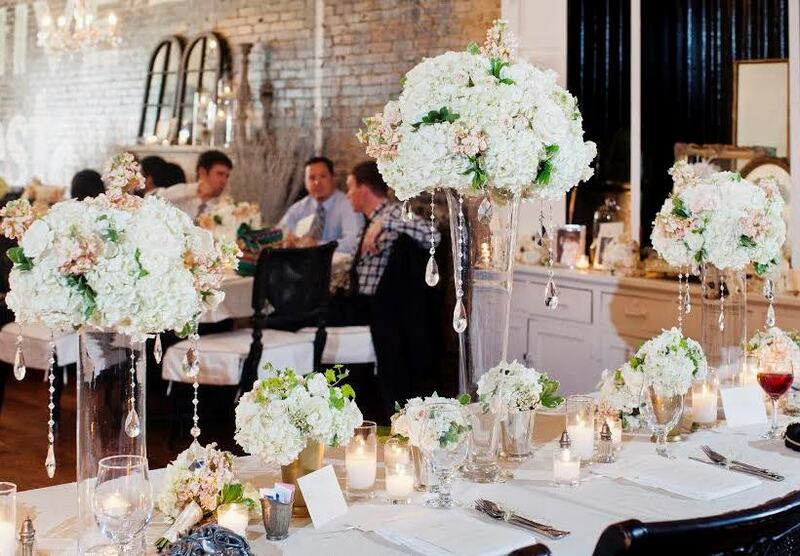 A sophisticated ballroom with luxe furnishings and crystal chandeliers? A chapel with stained glass windows? Contemporary décor juxtaposed with historic brick walls? Shabby chic elegance with flowing linens and simple flowers? Or perhaps a gazebo set amid manicured lawns and towering trees? No matter your vision, the tried-and-true wedding and reception venues in McKinney can make any couple’s nuptial dreams come true, says Vanesa Baggett, tourism services representative for the McKinney Convention and Visitors Bureau. And she should know. Part of her job involves offering free concierge services to connect couples with McKinney wedding/reception venues and hotels. Each month, she helps at least a half-dozen couples start the process of booking their wedding, reception and guest accommodations in McKinney. 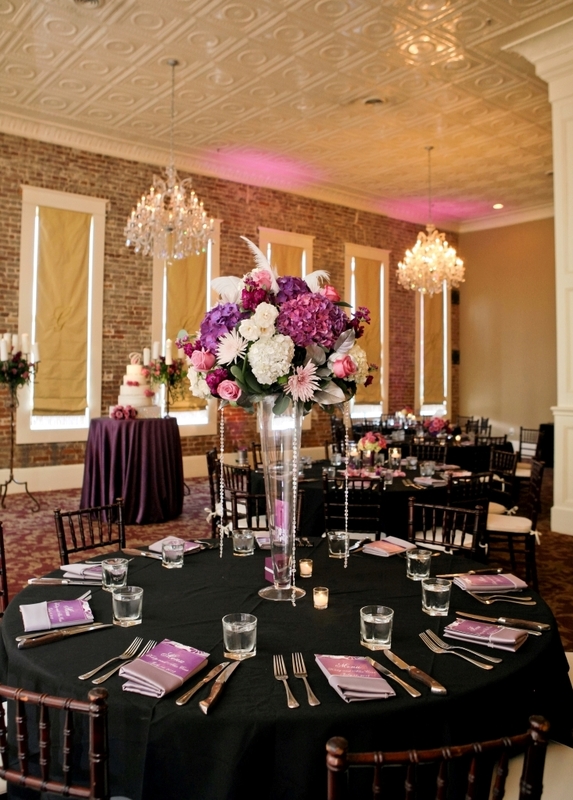 The McKinney CVB offers a list of tried-and-true wedding and reception venues on its website, visitmckinney.com. When couples meet with Baggett, she first assesses their vision and guest needs before taking them on site visits to introduce them to events venue and hotel contacts. “The most popular venues we seem to see are the Grand Hotel, Cotton Mill and Flour Mill [in historic downtown McKinney], Myers Park, Storybook Ranch, Chestnut Square, and the Bella Donna Chapel in Adriatica – it all depends on the bride’s vision,” Baggett says. If couples favor a natural setting and an outdoor wedding, they’ll want to visit Myers Park and Event Center, a public facility in north McKinney operated by Collin County that features 158 rolling acres and multiple venues. Myers Park is so popular for weddings, in fact, that only six open Saturday evenings remained available in 2014 as of mid-January. 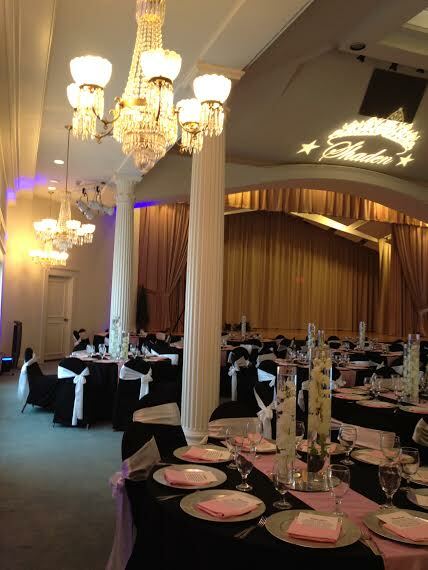 It’s no wonder that Star Community Newspaper readers voted it the best McKinney wedding venue in 2011 and 2012. Judy Florence, Myers Park manager, encourages couples to contact her and her staff because they can still accommodate 2014 wedding parties on Fridays, Sundays and even Saturday mornings. Couples love getting married in the beautiful gazebo at Myers Park and then having their reception in the Landing, a large hall. Other popular wedding sites at Myers Park include in the perennial garden, on a small bridge surrounded by woods and in the big pole barn. A new venue, called the Amphitheatre, will be available soon, likely in May. It features Austin stone columns with a small roof and an open back that looks out into a stunning wooded area. 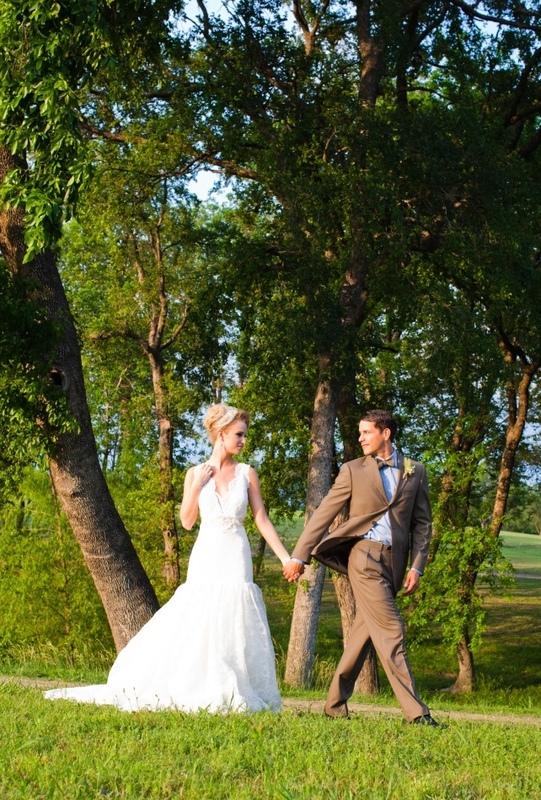 A wedding at Collin County’s Myers Park and Event Center in far north McKinney. Photo courtesy of Myers Park. Florence says couples love Myers Park’s natural beauty; the highly competitive, affordable prices with few added fees; the fact that they can choose their own caterers and vendors – or have family members provide refreshments; and the fact that those who book the gazebo and the Landing package automatically have a backup plan in the event of bad weather on their wedding day. Couples can simply get married indoors at their reception hall. For information: Go online to myersinfo.com or the Myers Park and Event Center Facebook page or call 972-548-4792. The Grand Hotel on the downtown McKinney square is synonymous with world-class luxury and sophistication. The beautifully restored building formerly served as McKinney’s opera house, and it’s now the definitive locale for couples dreaming of an elegant wedding and reception. The most popular wedding and reception venue at the Grand Hotel is the 2,500-square-foot Grand Ballroom, which held 61 of the 78 weddings at the hotel in 2013 as well as numerous other events. The Grand Ballroom at The Grand Hotel is all decked out for a wedding reception. Photo by K and S Photography, courtesy of The Grand Hotel. “The décor is elegant and timeless, so it goes with every bride’s style and is fully adjustable. It’s a very flexible space,” Kosarek says. There are still some 2014 dates available, she says. One of the fun trends that the Grand Hotel has enjoyed assisting couples with is creating a signature wedding cocktail for them. Many couples are also foodies who relish having a say in their dinner presentation. Kosarek is also seeing trends with desserts in which couples choose cupcakes, pies or other non-traditional wedding cakes. 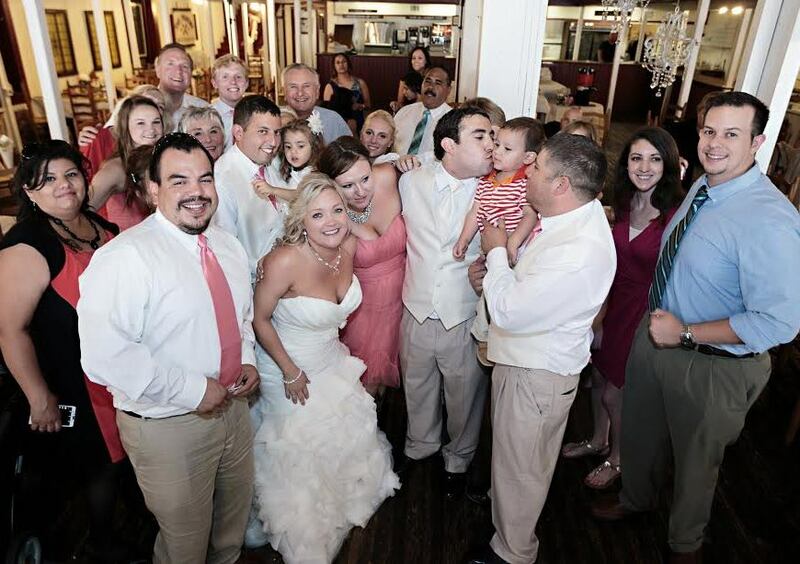 Smaller wedding parties are easily accommodated at the Grand Hotel as well. Rick’s 110 is a private dining room with its own street entrance. The inviting Wine Room features floor-to-ceiling oak wine racks, and the intimate Library seats 28 guests who dine amid recipe books from around the world. For information: Go online to grandhotelmckinney.com or call 214-726-9250. Built in 1898 and originally a hardware store, The Pantry in downtown McKinney features historic charm, original wood floors (complete with inset numbers for measuring various goods), brick walls, and exceptional pies. 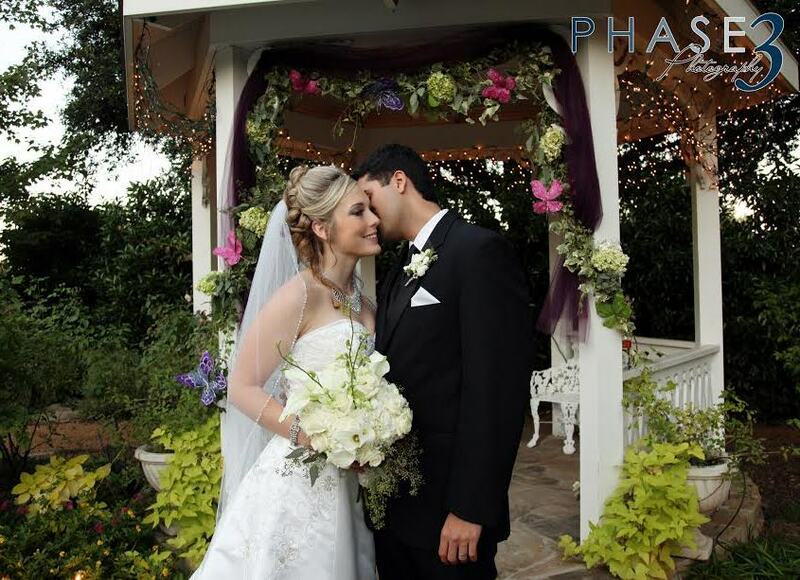 The Pantry is home to numerous wedding receptions, rehearsal dinners, and special events each year. There are still available 2014 dates. Among its selling points for couples: Wedding parties get the entire building when they rent the venue; the space is fully customizable and can be transformed to feature any look; and The Pantry’s events coordinator provides wedding planning services. Shumway says The Pantry attracts many brides who favor weddings with rustic elegance. However, it’s incredible how the vintage building can be tailored to meet any bride’s vision, she says. A wedding party celebrates at The Pantry. Photo by Don Sparks Photography of Frisco. For information: Go online to thepantryrestaurant.net or call 972-542-2411. This beautiful restaurant and events venue celebrated its two-year anniversary in November 2013 after quickly becoming one of the hottest spots for a get-together. Gather, located in downtown McKinney, also recently earned accolades from McKinney Magazine readers as the best wedding venue in 2013. Owner Crystal Bryant says Gather is perfect for smaller weddings, since it holds as many as 100 people. Couples who book their wedding and receptions at Gather tend to favor simple, natural elegance, she says. There are still available 2014 dates in the fall and winter. Gather features exposed historic brick walls, hardwood floors and luxe, contemporary furnishings with crystal chandeliers, beautiful place settings and elegant linens. Couples are welcome to provide their own table-top décor or just the decorations for a sign-in table. A wedding party at Gather in downtown McKinney. Photo courtesy of Gather. The wedding parties at Gather feature sit-down dinners, and the on-site chef offers a delectable menu that’s 11 pages long. “We can customize it any way you’d like – you can pick as much or as little food as you’d like, and with our pricing, you can build a full menu within our minimums,” Bryant says. Bryant says she’s honored that couples have been raving about how easy it was to have their event at Gather, the excellent food, and the efficient, customer-oriented staff. For information: Go online to gathermckinney.com or call 972-548-8882. If couples wish to celebrate their big day in a beautiful historical site, they should consider booking their wedding and reception at one of the venues at the Heard-Craig Center for the Arts in downtown McKinney. The Heard-Craig House is a museum listed on the National Register of Historic Places and is a Recorded Texas Historic Landmark. While it’s not available to lease, couples can rent the elegant Heard-Craig Hall, get married outdoors in picturesque Katie’s Garden, or enjoy a celebration with a small group of family and friends in the Carriage House. There are still available 2014 dates. Executive Director Barbara Johnson and her staff love being part of a couple’s historic day. They take joy in discussing brides’ ideas — often assembled from Pinterest.com — and then showing them a photo album illustrating the ways the Heard-Craig venues can be transformed to fit a bride’s theme. The Heard-Craig Hall is ready for a wedding reception. Photo courtesy of the Heard-Craig Center for the Arts. “We take a lot of photos so that other brides can get ideas for their wedding,” Johnson says. “When you walk into a room and it’s not decorated for a wedding, sometimes it’s hard to imagine what it would look like. If you look at photos of ideas, it helps a lot. Entire wedding parties and the bride and groom’s relatives often tour the Heard-Craig house museum before the wedding so that they learn about the venue’s rich past. For information: Go online to heardcraig.org or call 972-569-6909. About the author: Holly Becka is the owner of HorsePower Communications, a public relations, public involvement, and business writing and editing firm in McKinney. She cries at weddings, loves creative wedding cakes, and favors reception venues with big dance floors. You can reach her at holly@horsepowercommunications.com.